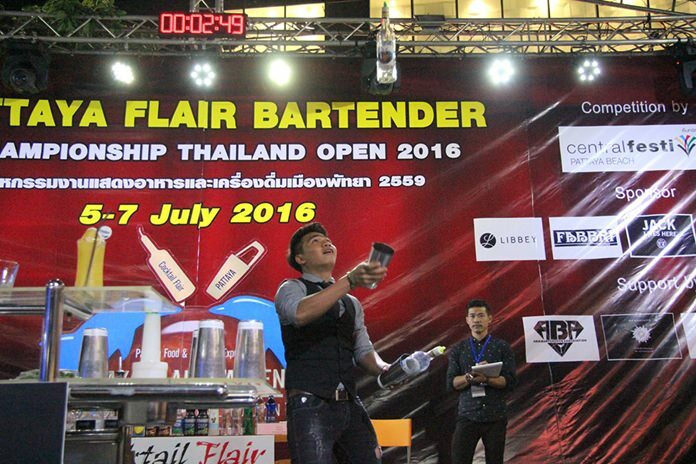 A Russian bartender shook and spun his way to victory at the 2016 Pattaya Flair Bartender Championship. 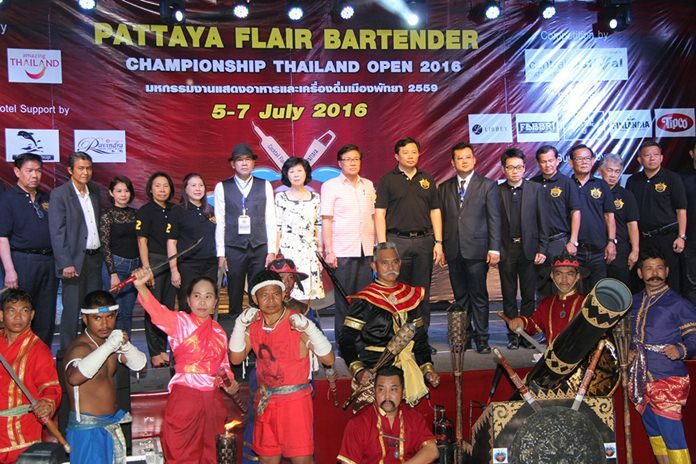 Officials and entertainers prepare to kick off the Pattaya Flair Bartender Championship Thailand Open 2016. Chonburi Deputy Gov. 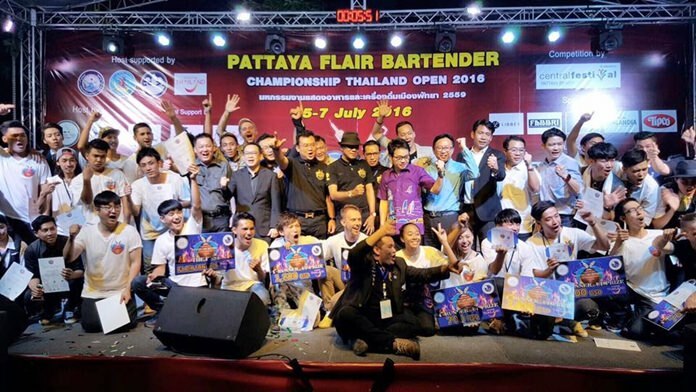 Chaichan Aimcharoen opened the July 5-7 contest at Central Festival Pattaya Beach with Krit Jiramongkol, president of the Food and Beverage Management Association Eastern Region, and Yuparaj Wongdaokul, head of the Bartender Club Eastern Region. 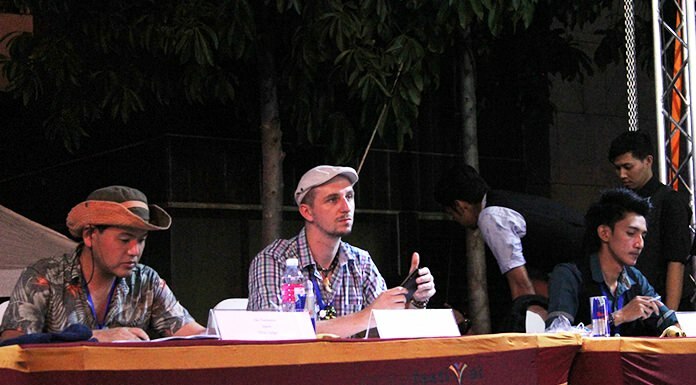 An early contender shows off his skills in a preliminary round. Slava Belyakov took the top prize of US$1,500, beating last year’s Japanese champ Mitsuhiro Kanrshiro – who placed second, winning $1,000 – and vocational, college, national and international contestants from Asia, Europe and Africa. Kao Wei-Huant from Taiwan won $700 for third place. 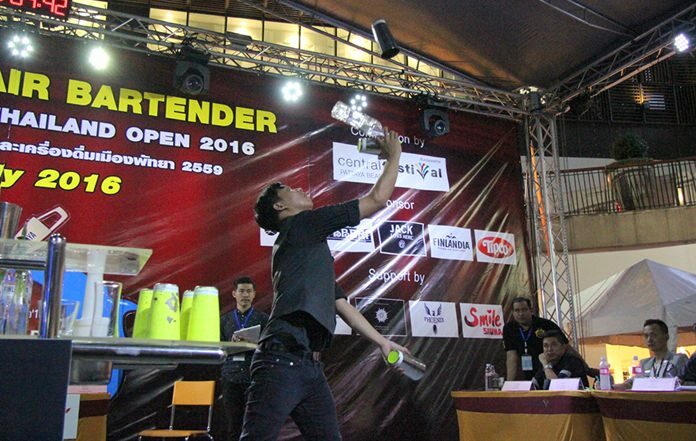 The total prizes handed out surpassed 500,000 baht. Judges, sponsors and honored guests climb up on stage to congratulate the winners and runners-up. 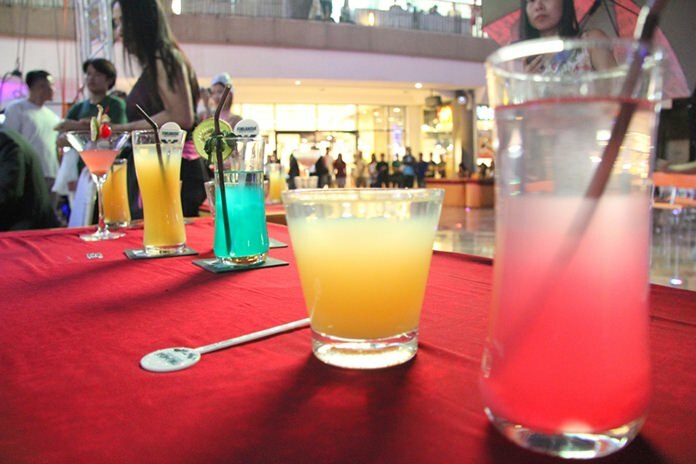 Lining up the drinks to be judged. Pretty waitresses bring the concoctions to the judges. 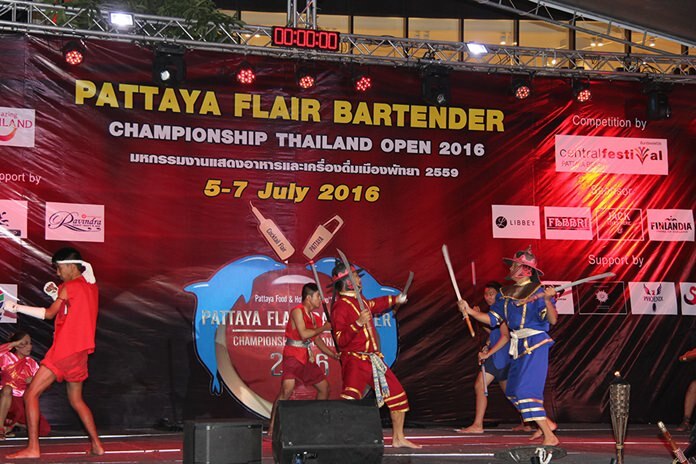 Ancient Thai combat skills provided the early entertainment. Judges were taking their jobs seriously. More bottle and shaker acrobatics.